Radiation levels exceeding health limits for infants have been detected in a water purification plant supplying Tokyo water. A Tokyo water purification manager, El Yoshida, has advised in a press conference (video) that infants in 23 wards of Tokyo and some places in the city of Tama should not be given tap water. Authorities in Tokyo have warned that very young children in the Japanese capital should not drink tap water after it was found to contain twice the levels of radioactive iodine considered safe for infants. The warning came as the spread of radioactivity continued through the food supply in the region surrounding the stricken Fukushima Daiichi nuclear power plant. Black smoke was seen rising yesterday afternoon from the plant’s No 3 reactor, prompting the operator, Tokyo Electric Power (Tepco) to evacuate workers who have been battling to make the facility safe. The source of the smoke was not immediately known. Tests conducted by the Tokyo metropolitan government identified 210 becquerels of iodine-131 per 1kg of tap water in the city, more than twice the limit of 100 becquerels considered safe for infants. Tokyo’s water bureau said babies and infants under the age of one should not be given tap water, but added that radiation levels did not pose an immediate risk to adults. "This is without doubt, an effect of the Fukushima Daiichi plant," a metropolitan government official said. The capital’s governor, Shintaro Ishihara, said the levels were not hazardous to health, but advised parents of children aged under one not to use tap water with milk formula. Earlier this week, some residents living near the nuclear plant, 150 miles north of Tokyo, were told not to drink tap water owing to abnormal levels of radioactive iodine, which can cause thyroid cancer if ingested in large enough quantities. Until yesterday tests had shown negligible iodine-131 levels in Tokyo tap water. Jim Smith, reader in environmental physics at the Portsmouth University, said: "Following the finding of up to 210 becquerels of radioactive iodine in tap water in Tokyo, the recommendation that infants are not given tap water is a sensible precaution. But it should be emphasised that the limit is set at a low level to ensure that consumption at that level is safe over a fairly long period of time. This means that consumption of small amounts of tap water – a few litres, say – at twice the recommended limit would not present a significant health risk. I would expect that the recommendation not to drink tap water would also extend to women who are pregnant or breastfeeding." The Japanese prime minister, Naoto Kan, instructed authorities in Fukushima to issue a ban on the consumption of certain agricultural products grown in the prefecture after radioactivity exceeding legal limits was found in 11 types of vegetable. The list of contaminated produce includes spinach, komatsuna leaves, cabbage, cauliflower and broccoli. The government has also suspended shipment of the vegetables. None of those products have reached the market since Monday, when the alarm was raised about contamination, according to Japan’s agricultural co-operatives. The health ministry detected 82,000 becquerels of radioactive caesium – 164 times the limit permitted by law, in kukitachina leaves from Motomiya in Fukushima prefecture, as well as 15,000 becquerels of radioactive iodine – more than seven times the limit. Contamination has spread to neighbouring prefectures, with Ibaraki told to suspend shipments of milk and parsley. The US, meanwhile, has become the first country to ban milk and food imports from Fukushima and three neighbouring prefectures. The US food and drug administration said it would halt imports of dairy products, vegetables and fruit from the four prefectures, and would screen seafood and produce imported from other parts of Japan. South Korea is reportedly considering similar measures, while France has asked the European commission to examine a community-wide response to Japanese food imports found to have been contaminated. The Japanese government’s chief spokesman, Yukio Edano, said abnormal levels of radioactivity in food posed no threat to human health and urged trading partners to act rationally. "We will explain to countries the facts and we hope they will take logical measures based on that," he told reporters. Tepco, meanwhile, has secured 2tn yen in loans to rebuild its power supply networks, which was badly damaged in the 11 March earthquake and tsunami. Sumitomo Mitsui bank is to provide 600bn yen (£4.5bn), Mizuho 500bn yen and Tokyo-Mitsubishi UFJ about 300bn. The banks are expected to make the cash available by the end of the month. Analysts said the loans suggested the government wants to secure Tepco’s survival, despite its central role in the worst nuclear accident since Chernobyl in 1986. "Given the amount of cash on [Tepco’s] balance sheet, I’m surprised at the urgency of the loan talks, but certainly the need to prevent a crisis of confidence could be seen as necessary to keep recovery efforts stable," said Penn Bowers of CLSA Asia-Pacific Markets in Tokyo. "It’s interesting, as one suspects that the government has implicitly guaranteed the survival of Tepco as a regulated entity if all these institutions are willing to accept the risk." The Japanese government estimates that the earthquake and tsunami caused damage totalling 16tn yen (5bn) to 25tn yen, making it the world’s costliest natural disaster. The sum dwarfs the 0bn (£600m) of damage cause by the Kobe earthquake in January 1995, and does not include the effect on economic activity from rolling blackouts, which could continue for several weeks, or the impact of the Fukushima nuclear emergency. "The impact from the planned power outages is likely to be significant," said Fumihira Nishizaki, a cabinet office official said. The Bank of Japan’s governor, Masaaki Shirakawa, said the disaster would have severe consequences for the economy. 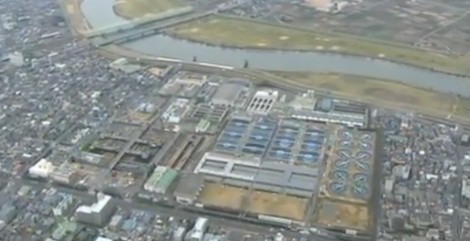 Nuclear radiation is still seeping out of the Fukushima Facility in Japan. There are plutonium and other poisons entering our environment wherever we are. The effects of radiation include cancer, DNA damage, reproductive damage, hormonal damage, and thyroid damage (that’s why they want you to take potassium iodine, another dangerous toxin) but I wouldn’t. There is a much safer substances like Zeolit.